News just in from my good friends at Bohemia Hair! 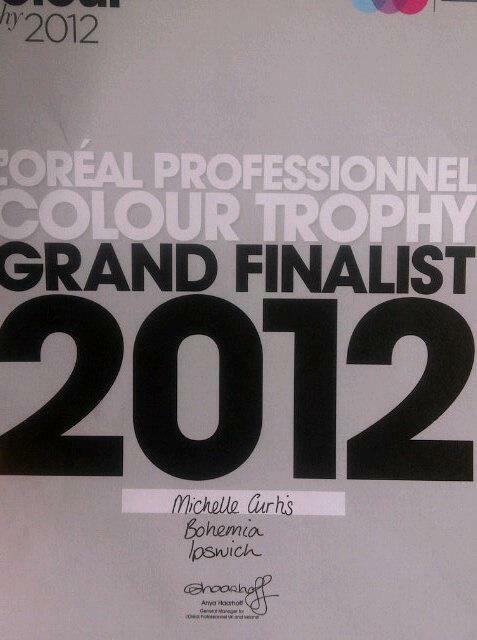 Stylist Michelle Curtis has just been officially put through to the grand final of the 'Young Colourist Award' in the L'oreal Professionnel Colour Trophy. I shot Michelle's entry photo a few months back and so am so pleased that she is continuing to do so well in this competition. If you would like to speak to the guys at Bohemia Hair about your next hair appointment, you can contact the salon here.